This week's Instagram picks are from both the shop and the Design Office. Hope they inspire you to join us on this fabulous social media site. 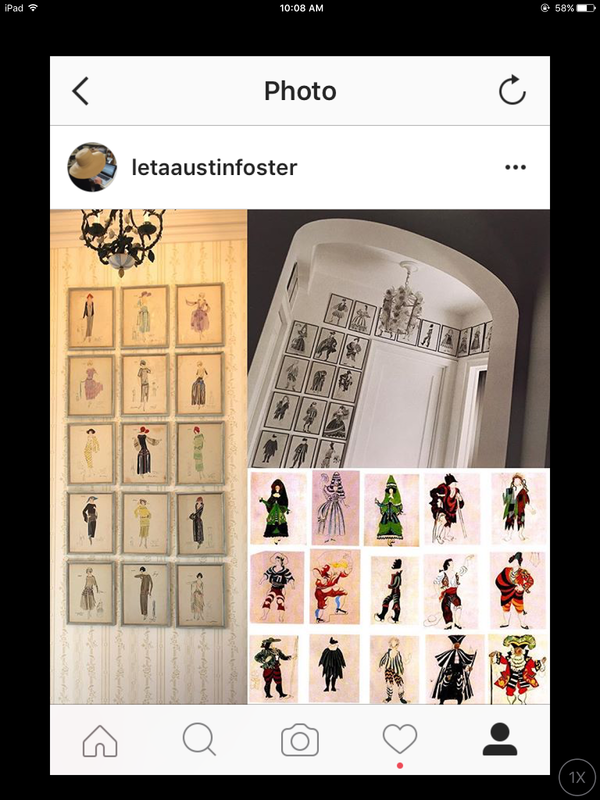 Shown on the wall are our client's collection of watercolors reminiscent of Billy Baldwin's collection of Picasso's costume sketches for the ballet "Le Tricorne" (inset). It's no wonder we are working on a Billy Baldwin house for her ! 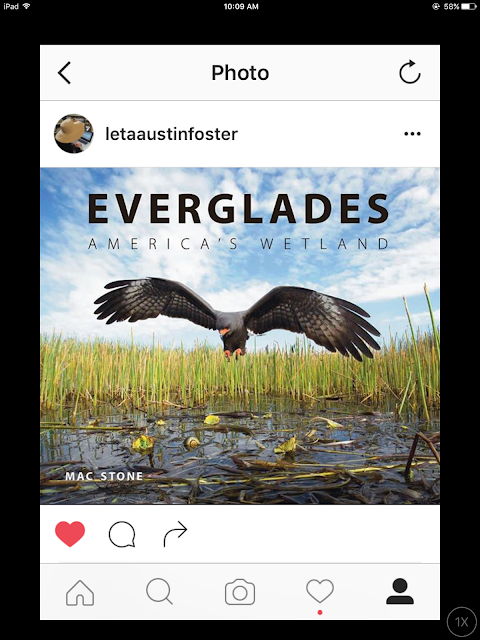 This fabulous new book, "Everglades, America's Wetland", is a collection of photos and interesting facts about a subject that is near and dear to my heart. This is part of a client's collection of Dodie Thayer pottery. 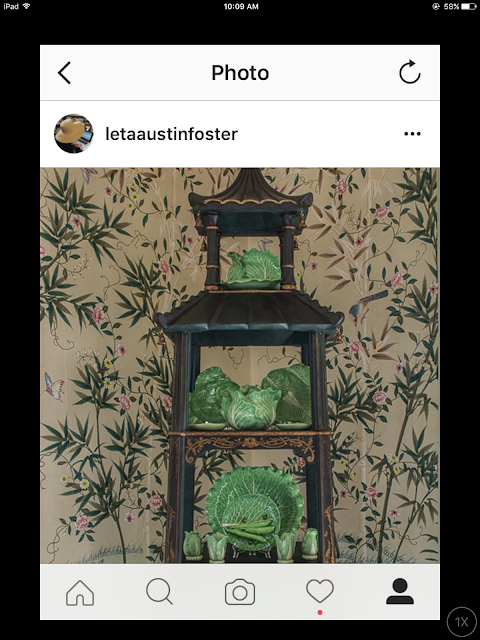 The wallpaper is a custom "Bamboo Grove" from Gracie Studio. Photo by Erik Kvalsvik. 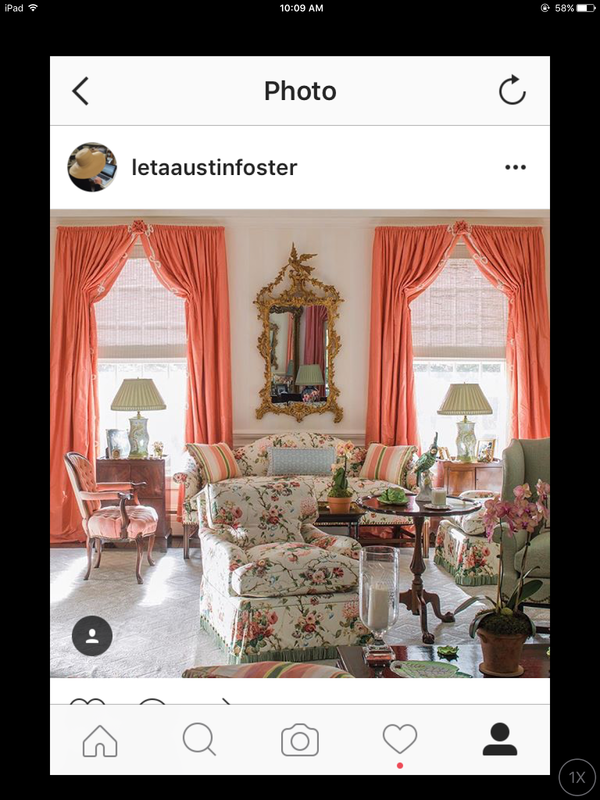 This photo (by Erik Kvalsvik) is taken from "Traditional Interiors" by Brian Coleman and is a room designed by Leta Austin Foster and Asso. Don't you just love the classic chintz,"Amberly", by Colefax and Fowler. I love it so much that I plan to use it on future projects ! Three vendors, new to our shop, have stocked us with their jewelry and accessory lines. 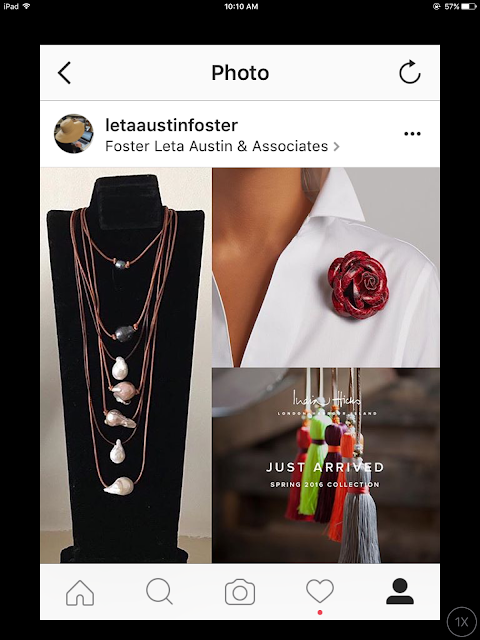 Fresh-water pearls on leather strings by Pearls With a Purpose, exotic leather flowers with magnetic attachments by Hayes Hamilton, and super snazzy purses, scarves and totes by India Hicks are all here for the summer.